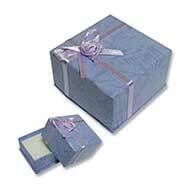 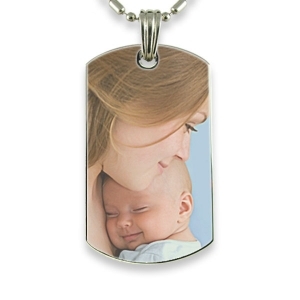 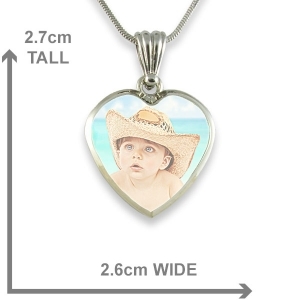 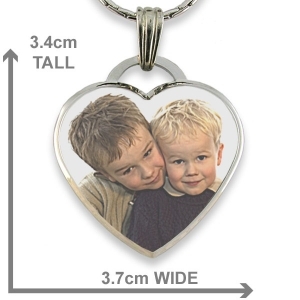 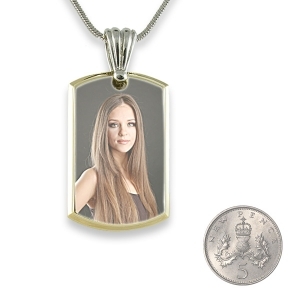 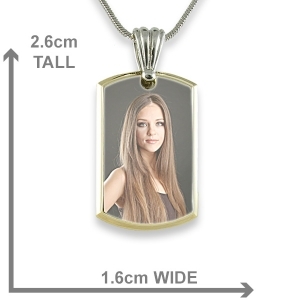 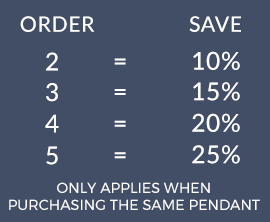 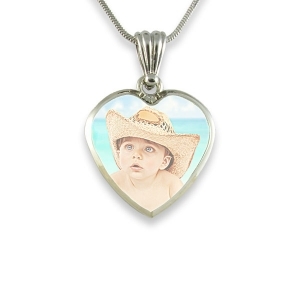 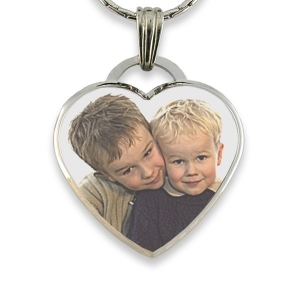 This is a Rhodium Plate Deluxe Bevelled Colour Printed Small Portrait Photo Pendant. 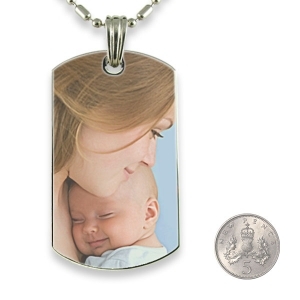 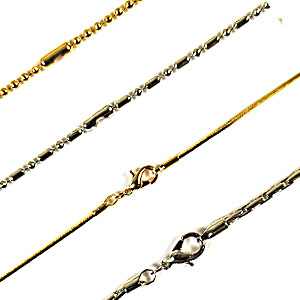 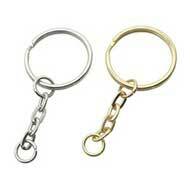 Rhodium is a highly reflective metal plate which is known for it’s hard wearing properties. 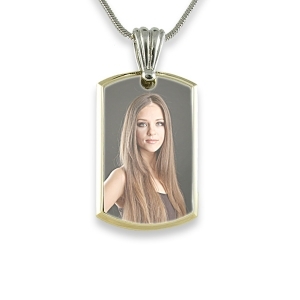 The bevelled face gives the pendant a more solid feel and appearance and highlights your photo printed on the raised face.